On the 28th of August, the Erasmus Student Network is celebrating the launch of MapAbility platform, a ground-breaking online map designed to inform disabled students about the accessibility level of European Higher Education Institutions. MapAbility’s primary aim is to conduct extensive research into the accessibility level of Higher Education Institutions in Europe. With this new online map, ESN is using MapAbility data to provide disabled students with an exclusive guide to accessibility in European Universities. A committed team of students from across Europe founded the project, which maps out the entire Higher Education Area. The group - who are all the volunteers of ESN - created a questionnaire to investigate the accessibility level of Higher Education buildings and to gather information about the services HEIs can offer disabled students. 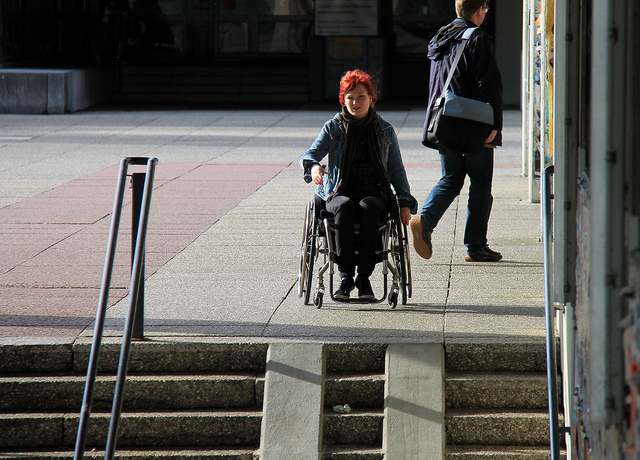 Preliminary MapAbility research reveals mixed results for accessibility in European HEIs: although a third of institutions have no Disability unit to welcome disabled students, over two thirds of HEIs have essential facilities such as elevators and accessible bathrooms. The project also hopes to promote common understanding of the diverse range of accessibility needs in Europe. The goal would be to increase the facilities available for disabled students and to improve the perception of different forms of disability in European HEIs. MapAbility is a sub-project of ExchangeAbility, an ESN programme with the wider aim of increasing the participation of students with disabilities in international mobility programmes.